Tehilla enjoyed a morning at the gymboree and then a lunch of pizza. She tired herself out and took a nap. One of the surgeons on the team came in to check on her. He revealed that her xray from this morning showed next to no fluids on Tehilla's left side. She does not need a new chest tube! What a huge relief! 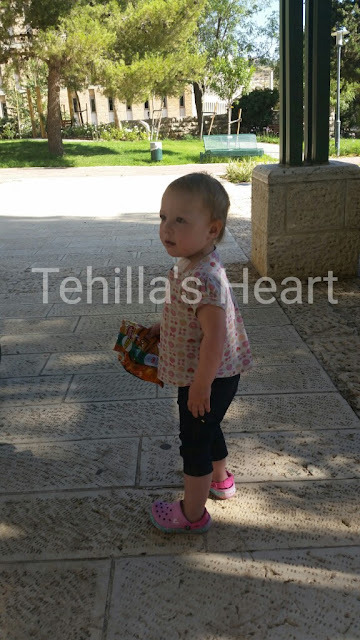 He said they are watching the fluid on her right side since removing the chest tube on Shabbat. So far it looks good. They will do another xray in another few days to be sure! 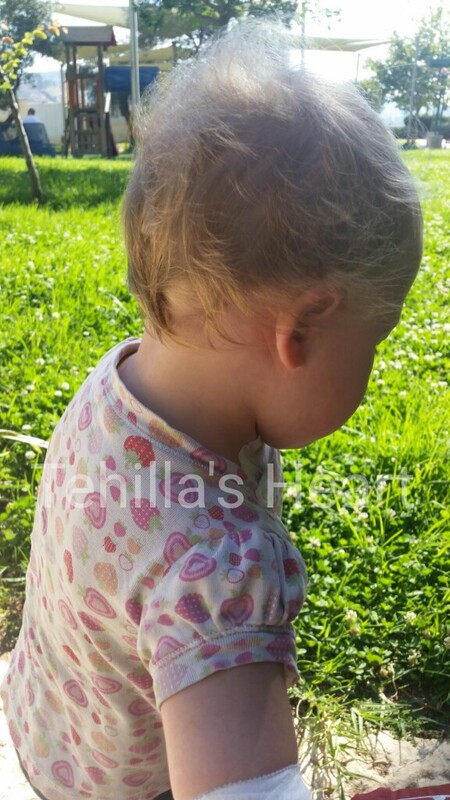 Lately, Tehilla has been upset by the scars on her stomach from all the tubes. It's very distressing to her and she says they are not nice and disgusting. I'm trying to talk her through it, but it is a hard thing for a kid to cope with. Her chest scar is still covered up, so she hasn't taken much notice yet. Right now, we are enjoying the beautiful gardens outside and loving the fresh air. Funny when she said her scars are nit nice and discusting, haha! It will be alright sweetheart, it will disapear as time goes by. I wonder if fun bandaids would help her to "cover" the scars and make her "enjoy" them. Each scar is a gift of life. I know YOU know that! Hugs from California.